Now that Thanksgiving is truly well and over and the holiday season has begun, we can start expecting holiday filled levels of all our favorite Android games. Yesterday we told you about the Angry Birds Seasons Christmas update called Arctic Eggspedition and today we have one more game that’s getting a Christmas update. 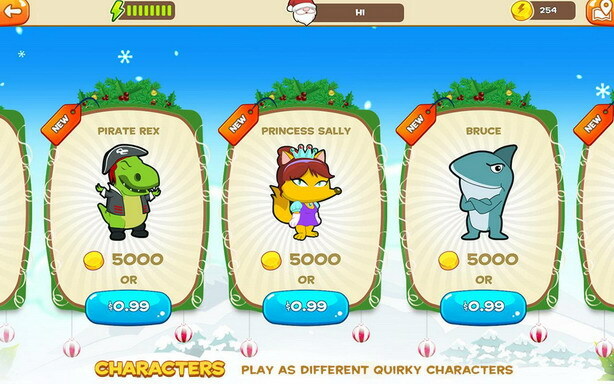 This one’s the race runner called Tiny Run from June Software. 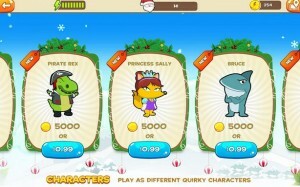 Tiny Jones and his quirky set of friends Bruce, Wonder Kona, Princess Sally, and Pirate Rex are now joined by Tiny Santa in fun filled snowy levels of Tiny Run Seasons. 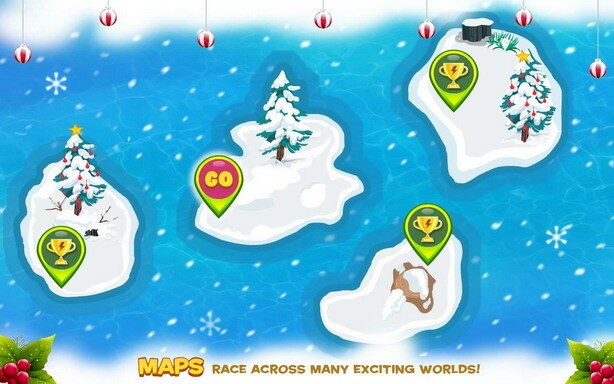 Soak in all the festive music, and Christmassy merriment as you continue to race in holiday themed levels. There’s lots of sneaky powerups and cheeky moves such as hitting your opponents with eggs, a punch or two, or by slowing down time in a bid to make it to the finish line before the rest of them. You also get all the goodness that comes with the original; beautifully designed levels, characters each with their own special abilities, intuitive controls and family fun. 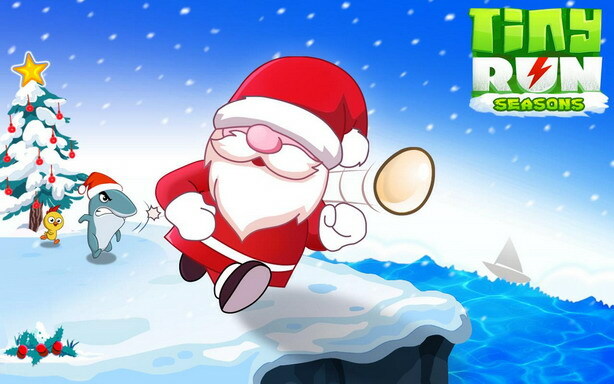 Tiny Runs Seasons is available as a free download. Check it out now and grab yourself a chockful of holiday cheer!